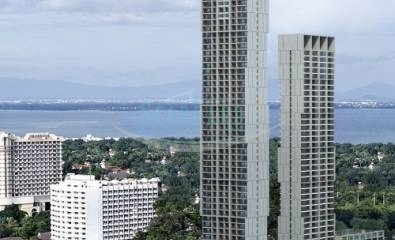 This property is set within a high-rise beachfront condominium located in a quiet area of Wongamat beach. This is a studio apartment on the 3rd floor where you will feel a good breeze, and have a sea view over the treetops, across the swimming pool and along the beach front. 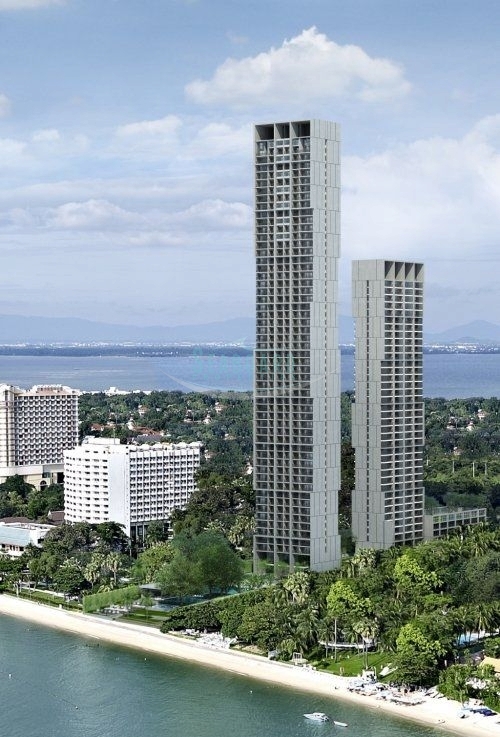 Inside, the condo has been partly furnished with fitted cabinets, boasts a fully equipped European kitchen and Air conditioning. There are a host of fantastic communal facilities onsite, such as the large communal pool with lots of sun decks along the pool, a children’s corner with shallow paddling pool, and a fully equipped fitness center and sauna. 24 secure checkpoints and modern key-card systems keep the building safe and secure. Along the bay you will find plenty of International restaurants offering Italian, Japanese, and buffet seafood. The apartment is registered in foreign ownership.